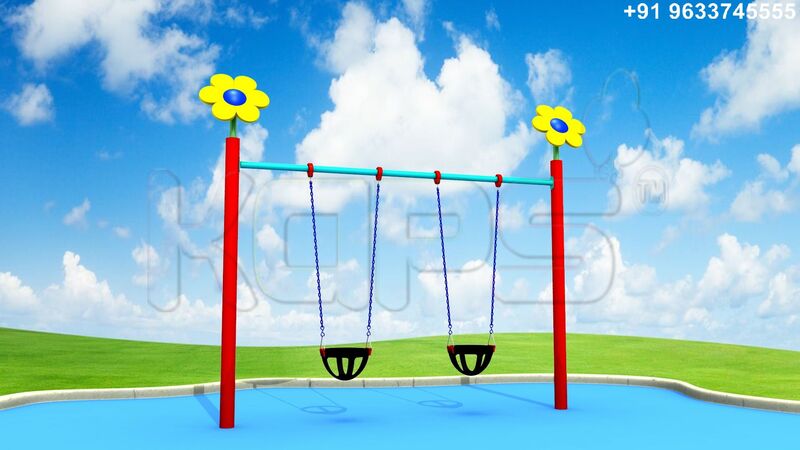 The toddler swings are designed for the little ones in the play world. The bucket swing design promises a secure and comfortable swinging. Kids can sit at ease just like in their mom�s hands. The covered seats ensure safety as well as fun for those who are taking their first lessons of play. The unique design keeps the kids in proper balance as they have a tendency to move all the time. Parents can also sit back for a while as kids are safe inside the wonderful swing. We recommend it as the perfect choice for toddler play areas and kindergartens.